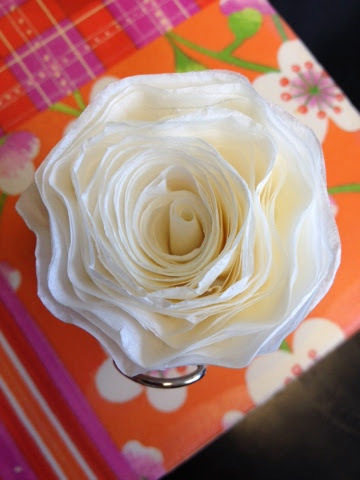 This pretty little thing is made from coffee filters. It's a preview of our mother's day gift...check in later this week to see the completed project! Do you do anything for mother's day? If so, what do you do? That is a work of art! I can't wait to hear more about it! In the past I have made lunchbag scrapbooks and painted polka dot pots. We also decorated binder clips one year as cute photo stands.